You are at:Home»Immigration Blog Posts»Houston Recovery: Building on an Illegal Sinkhole? Houston Recovery: Building on an Illegal Sinkhole? Calling illegal aliens “key” to Texas’s recovery, the Washington Post and other open-borders opportunists repeated the mantra that foreign imports are needed to do the work that needs to be done. The post-hurricane clamor for unskilled and semi-skilled laborers from south of the border is an eerie refrain. It’s an extension of the ongoing replacement of native workers, including subsequent generations of legal immigrants, with newly arrived illegal aliens. 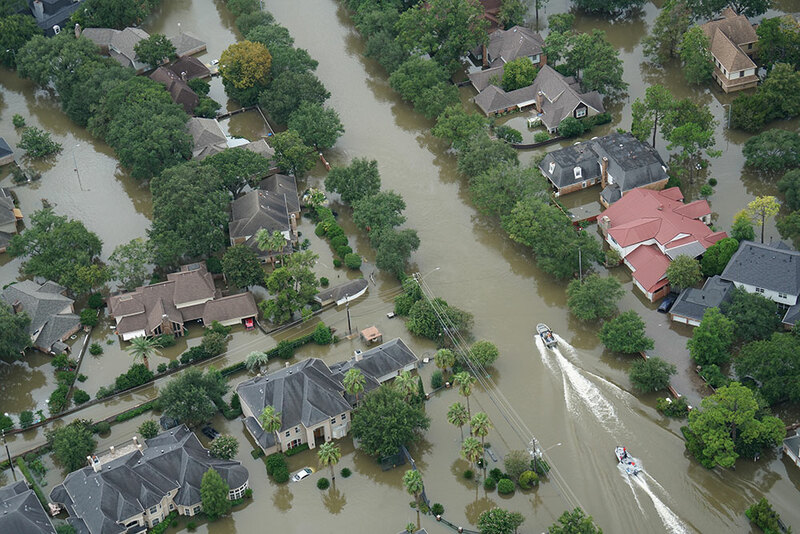 Long before Harvey hit, two large Houston area businesses were charged by the federal Equal Employment Opportunity Commission with discriminatory hiring practices that favored illegal aliens. In both instances, the companies gave preference to Spanish speakers, even though the job duties did not require Spanish. A bakery settled its EEOC case for $1 million; charges against a local manufacturer are pending. Now the construction trades in Texas, flanked by craven politicians, say imported workers (with papers or not) must be enlisted to do the heavy lifting after Harvey. Growing dependence on illegal workers – typically cheap, marginally skilled and highly transient – has been destabilizing the lower rungs of the labor ladder for some time. Native workforce participation in that category is at low ebb precisely because the ranks of low-wage immigrants are at record highs. Policymakers in Washington, D.C., must shift course, too. Enforcing border security and shutting down the flow of low-skill immigration are essential to getting displaced Americans back to work. Instead of pounding this country’s most vulnerable workers with still more illegal labor, reconstruction contractors in Houston must hire U.S. citizens, and pay them accordingly. Otherwise, what’s really being built here? The “marginally skilled” phrase is an understatement. Many housing developments built in the last 20 years are now having major problems because of poor construction by illegals. Many developers are being sued to correct those mistakes, whereas it would have been cheaper to build correctly with skilled American workers. It’s just puzzling why blacks keep voting for the same mass immigration advocates who bring in foreigners to tamp down wages. Years ago a lot of blacks had their own small lawn maintenance services and were able to support a family on that. Now foreigners, frequently illegals, are doing those jobs at much lower wages. Blacks want the Democrats to “do something for us.” Start by demanding an end to mass immigration and stop being played for suckers by a party that could care less about you as long as they get your vote. Hillary was on Ellen Friday. Frightening to think that 80,000 votes in three midwest states were the difference between her running this government. Naturally, she complained that the GOP was the party of “white supremacy and misogyny”. Translation, she means anyone who won’t support her open borders agenda. As far as misogyny, it was her show biz pals who ignored the the decades long sleaziness of Harvey Weinstein, who was guilty of far more than making the occasional pass. Not to mention Hollywood’s long time excuse making for Roman Polanski. A brilliant director, but he gave a 13 year old liquor and raped her.